The firmware fix was kind of a workaround rather than a permanent fix. I did two things to try make sure that the new chip didnt stretch the clock. (I am not sure that either is a guarantee). First, I increased the speed of the I2C bus. 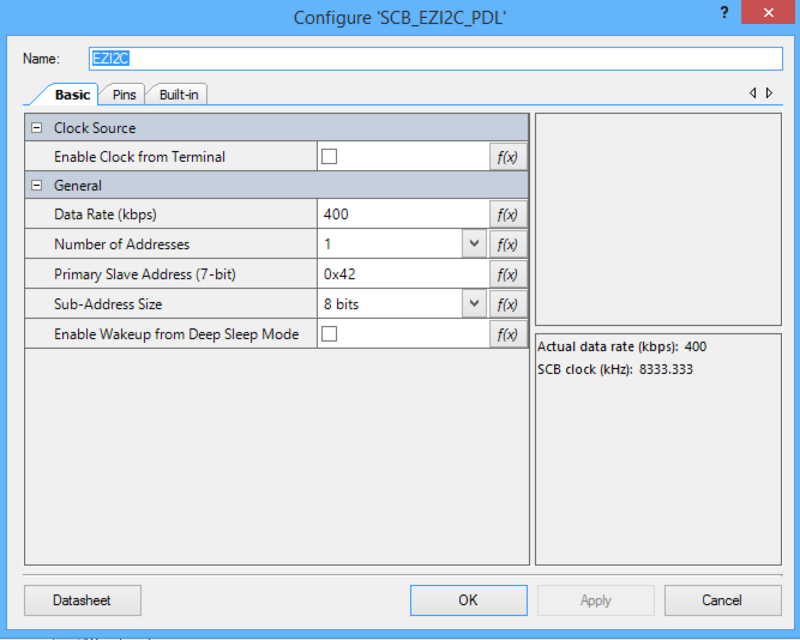 I doubt that this guarantees that the I2C clock is not stretched, but it seems to work. Second, I increased the priority of the EZI2C interrupt (though I don’t think that in this case it actually mattered). This picture shows something interesting about the new chip. I called the BU manager and he told me that I could say that it is a multicore chip. Now that I have the communication working between the WICED WiFi development kit and the secret new chip development kit, I need to make a change or two to the Subscriber firmware to send updates to the Robot ARM controller. One good thing about spending hours trying to figure out why the I2C was not working is that I greatly improved the Subscriber firmware. Everything is done and working… and checked into GitHub. You can find it at GitHub.com:iotexpert/emb2017. Come see me talk at Embedded World… as always I am never sure what I will say next, which apparently makes for a good show. Ill leave you with this image of my office, which is a total disaster area.